Get the latest news about Scram Software and our products here! We’re proud to announce that after 3 years of R&D, ScramFS is now ready for beta testing! ScramFS is our cryptographic file system that provides transparent encryption for data at rest. Please visit the ScramFS website to read all about it! Visit the ScramFS website What is ScramFS? ScramFS is an encryption layer that encrypts... Read More. Visit us at InfoSecurity Europe 2017! Check out our latest encryption, key management and cloud backup technologies in London, 6-8 June 2017 We’re super excited and proud to be exhibiting at the InfoSecurity Europe exhibition in London this year. It’ll be a fantastic opportunity to connect to the key technology professionals and decision makers in the UK and Europe. Activities and... Read More. 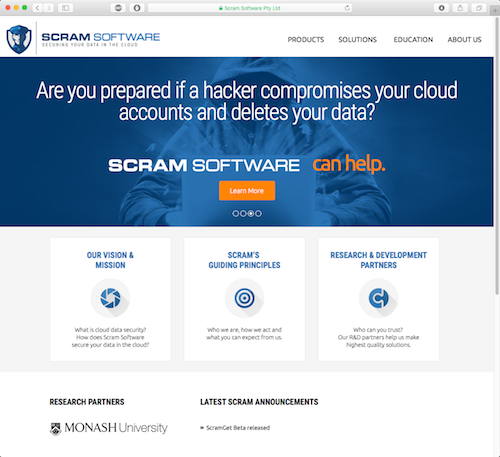 We’re pleased to announce the launch of the new Scram Software website. It contains information about our products, as well as many articles about cloud security and the latest news roundups from around the world. We hope it’ll be a valuable resource for everyone interested in cloud security topics! Read More. We’re proud to announce that ScramGet has gone into beta. ScramGet is our cloud-to-local backup solution. Our first beta will download and backup emails from a variety of sources to a simple PST file. 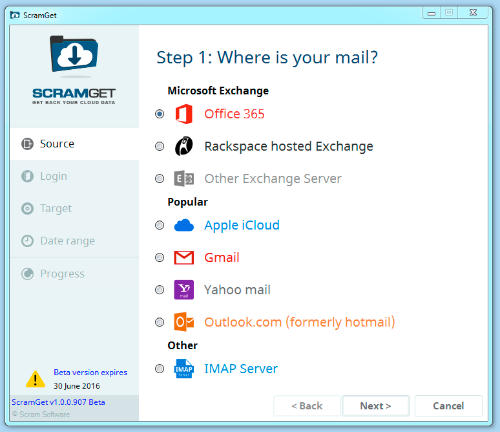 This version is Windows-only, but we are planning to expand ScramGet to be cross platform. Supported sources of emails are: Office... Read More.